It is with great pleasure to be able to announce the arrival of Bisanga and Cole Hair Transplant Clinic. Formed by two of the leading FUE surgeons today, coalition member Dr. Christian Bisanga and Dr. John Cole. The clinic is based in Athens, Greece and will be officially opening for its first round of patients on March 2017 of this year. With Dr. Bisanga based out of Brussels, Belgium and Dr. Cole out of the U.S. Why Greece you may ask? Well that's a great question. Quoting Dr. Cole - Many patients are focused on price. This leads patients to clinics offering very low prices in countries that are often not as safe and with fewer government regulations to protect patients. For this reason, Dr. Bisanga and I decided to form a clinic with the express intent to offer price-conscious patients an alternative solution at "low" prices. We will personally supervise the surgeries to make sure patients get the best possible outcomes. As mentioned, Bisanga and Cole Hair Transplant Clinic are able to offer luxury hair transplant procedures from the industry leaders at extremely competitive prices. Dr Cole went on to say - It looks like the first round of surgery starting March 27 will come in at 2.5 euro per graft. I'm sure happy to be involved in this opportunity. On a personal note, I am extremely honoured to be patient advisor to such highly esteemed hair restoration physicians, and in such a visionary project. Many of you reading this may already be familiar with me from being active on this forum. My personal journey with hair loss is my motivating factor to getting involved with Bisanga and Cole Hair Transplant Clinic. Experiencing hair loss at a young age and being hugely effected by this, I struggled greatly with insecurity and a lack of confidence due to hair loss which several years later, eventually led me to a FUT procedure. The results definitely helped me to get back my confidence and unquestionably improved my day to day life. I aspire to be able to serve individuals, build relationships and offer honest and ethical advice, guidance and solutions for their hair loss concerns. To be able to consider undergoing a FUE procedure with such ethical Doctors achieving such consistent quality results at this price point allows individuals, who may normally be priced out of choosing these physicians, accessibility to their expertise. If anybody has any interest, questions or queries regarding this new project, don't hesitate to ask. Also, by all means contact me privately if I can assist you with anything or you would like to consult with the clinic. Many thanks. Hi @Recedinggenes, there's a couple factors that i would suggest you do, first try to get an online consultation from both if you can. You will be able to ask alot of questions and they will be able to tell you the process and what would be a good fit for you. I did it with Dr. Hasson and felt very comfortable with speaking to both Chris and Doug and eventually Dr. Hasson to make a formal decision. I am not quite familiar with Dr. Gabel but the staff and Dr. Hasson are really personable and fantastic whom take very good care of you. His results are amazing as you can see through multiple people's results in the forum. However, I just got mine 5 days ago so I am basing it off what i just been through so far. Another factor why I decided to go with Dr. Hasson is due to location was key as i wanted to be closer to where I live, and Dr.Hasson's team constantly posts recent patience's results in this forum which showcase his amazing work. I kinda like that about a team whom is really proud of their projects.And If you are from out-of-town they do provide some reimbursement credit for accommodation i believe. Side note, I was also considering Dr.Diep but they lack communication was very poor, till this day I am still on their waiting list since Sept 2018 and had never had any email indicating when the next opening is. Luckily I did not give them my deposit as they request for it. I can only imagine what kind of communication I get if I needed post-op care. Good Luck. Hello fellow Norwoods. I will be taking the plunge for my second procedure in approximately 3 weeks. 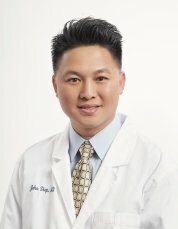 Per the suggestions on this forum, as well as youtube videos, I decided to go with Dr. Diep for my second procedure. From my research Dr. Diep seems to have a very high skill level as well as a great eye for overall aesthetics. I will be getting 1300 FUE grafts, with the primary goal of adding density and a secondary goal of slightly lowering the hairline. Want to say thanks for all the feedback I got in my first post. Specifically the following contributors deserve a shout out for their help in my, and other threads: HSRP10, HTsoon, Vermaj, ModernHair, Speegs, JeanLDD (aka the "straight-shooter" lol), Bill, JBL2093. I will aim to update my thread at least monthly, with more updates during the crucial first month post-op. Happy Holidays! I'd like to add to the wealth of knowledge about Dr. Diep since it seems he has many reviews here that are mostly positive. The jury is still out on this one, but I have high hopes so far. I am 33 years old and paid ~16k total for this FUE procedure and it was booked about 9 months in advance. I *almost* backed out a few days before after reading some scary reviews on realself and after hearing Dr. Diep's reputation for using a large punch size, but I went ahead anyway since he had a solid reputation on this forum. I've always had a high hairline since I can remember (I recall a girl calling me out for a receding hairline when I was 16), but I don't think I actually had noticeable miniaturization occurring until about 27. My father is nearly completely bald, and my brother's hair (who is about 7 years old) has progressive hairloss that is a bit worse than mine. I would say that for most men my age that are suffering from pattern baldness, mine is relatively milder (likely due to my early attempts at treatment). Some might say I am crazy for getting FUE at this stage of hairloss, but it is bothering me enough and it is difficult to style the hair the way I want (I have a huge forehead so I generally wear it down and to the side). My hair is currently receding in the temple areas a few inches and I believe it is starting to thin in the crown area as well. Here is where my hair currently is: You can kind of see on the right side of the picture of my temple area where I think the hairline used to be - one sole surviving hair seems to be nice and thick still. As far as treatments go, I probably have propecia and keto use for the last 4 years or so to thank for the relatively minor hairloss I have (compared to my brother at least). I hadsides when I started propecia, so I experimented with dosage and and also used grape seed extract as a way to counteract the effects (I forgot the mechanism involved but I read about it a long time ago and it seemed to work). I landed on taking approximately .5 mg every 3 days. Any more often and I start to get foggy brain. I sometimes try to increase it to EoD but I just can't do it because the brain fog messes with my job performance. Anyway, on to the stuff you guys probably care about. I initially paid for 1750, but Dr. Diep convinced me it would be a good idea to at least give him an allowance of an extra 100 based on the line he drew to restore my hairline. I also went with the A-cell - cost wasn't that huge of an issue for me and there didn't seem to be any drawbacks other than extra cost: This was exactly what I was looking for - even though I was tempted to lower my hairline a bit since my forehead is so large, I decided ahead of time that I should keep it conservative and simply restore what I had previously. I didn't want to deplete all my donor hair in case I needed more in the future. I also wanted to avoid possibly having an artificial looking hairline by at least having native hair closer to blend in with the implanted hair. I've seen Diep do magic with hairline lowering, but I've also seen some less than stellar results so I didn't want to take any chances. The half a CM or so that it appears to be lowering is simply because you can't really see the few straggler hairs that had not yet receded. As far as how the procedure went, it was fairly typical as others on this forum have described. The Dr. was already working with a patient when I arrived at 7:30, and he told me that he would be done with that patient in the early AM and would be with me for the rest of the day (that turned out to be not really true - once he finished making the recipient incisions, he only came and checked on the technicians performing the implants every now and then). I was given a concoction of pills and then waited about an hour and a half before the doctor came to begin the extractions (around 9:30-10). I did not fall asleep like most others describe but I was fairly relaxed. I experienced some pain from the anesthetic injections, and also had some pain during some of the FUE extractions in a particular area, and I recall him giving additional anesthetic injections for that. I don't know what size punch he used, but he indicated during pre-op that he used between .9 and 1mm - he explained his reasons for the larger punch and while I am aware I could have insisted on a smaller punch, his results speak for themselves and I think its best to let the doctor do things his way. Many of the criticisms I've read thus far regarding the punch size have been focused on how the donor area looked just after the procedure, but I haven't seen any real criticisms of his donor areas in the long term - and I also had not read of donor reserves being unusable as a result. The FUE extractions came from the back and my right side, as seems to be common with Dr. Diep (and debated about in other threads). I think the jury is still out as to whether this should really be done, but I can say that the left side of my donor area is well preserved for any future need, though I am not sure I like how far near the right ear he went with the extractions. That said, I will generally not be buzzing my hair very short anyway (5 guard minimum) so I don't think this will be an issue for me - you can see from the photos how I generally wear my hear. He made sure to minimize any shaving of hair at my hairline since I plan to return to work after 3 weeks and I am hoping (though I am skeptical) to disguise the work with a mixture of clever styling, makeup, topik, etc. One criticism I had about this procedure is once the extractions/incisions were done and lunch was provided, I asked for another round of sedatives (xanex/valium) since what I had so far wasn't really doing the trick and I had much more time to remain in the chair. I wasn't provided that - I am not sure why. The second half of the procedure was fairly uncomfortable - I was generally conscious and could feel each insertion of graft (though no pain from it initially). The inability to move at all due to the inserting of grafts, combined with the very chatty techs who were talking/laughing very loudly inches from my ear talking about all sorts of things (strip clubs, dating, etc), and the lack of any sedative effect, made for a very uncomfortable 6 hour process. I believe they started inserting the grafts around 2pm, and when 5 rolled around or so and I was basically wide awake, I asked how much longer it would be, and I was told 2 hours. Well, 2 hours rolled by and I asked again how much longer, and I was told 30 minutes. The anesthetic had mostly worn off and I was starting to feel pain/pressure and decided to just power through it (they asked if I wanted the Dr. to come apply more anesthetic but I declined since they were almost done, I thought). But it took another hour and a half and everyone from the office was pretty much gone except the technicians and the doctor. The post-op instruction lady came in and decided to give me my post op instructions and sign it while I was still laying on the chair and getting grafts placed, which I thought was kind of odd (do you think I am going to remember this well while I am getting stuck with grafts?) I understand that things happen and just sometimes take longer, but I couldn't help but feel like there was a sense of being rushed at the end (techs complaining about being hungry and what not). By the time things were wrapping up, I was asking for the painkillers prescribed to try and get ahead of the pain that I could feel coming on. The painkillers they gave me did not seem to have any effect on me (Tramadol) so my girlfriend and I drove straight to the pharmacy, and wouldn't you know everything was closed by 10pm, and the one 24 hour pharmacy was out of percocet. Most people describe the post-op pain as being relatively minor but I was experiencing the worst head pressure/pain I had ever felt. I ended up quickly glancing through the post-op instructions and seeing something about how ibuprofen can be taken 4 days post-op and in my pain and dizzyness from the valium, believed that meant I could take ibuprofen and took 3 (turns out I wasn't supposed to do that because of the blood thinning effect). While his written instructions, if you actually parse out the language, say that you can take ibuprofen after the 4th day, it is very easy to misread the instructions if you are in a daze from the sedatives and in a lot of pain. I was mildly annoyed because my girlfriend had been in the waiting room since 4 pm and could have picked up the prescriptions for me as I had asked (but they declined to let her because they said they already had painkillers for me). A word about the post-op instruction packets - I also don't understand why there are two different sets of post-op instruction packets which address the same issues and in some cases are contradictory (one set of instructions are telling you how to clean the recipient area each day after surgery but the second set clearly says you should *not* touch the recipient area until day 4). Dr. Diep was very pleasant during the pre-op but I didn't talk with him much after the procedure. I believe he came in to check on the technicians about once every 30-45 minutes during the insertion of the grafts and to take final photos. I went to my first post-op wash and was hoping to get a rundown of how he felt about the procedure, but he was too busy when I was there, so I am hoping to catch him in one of the other cleanings if possible. Anyway, here is the stuff you guys probably care about: Other than taking ibuprofen after the surgery, everything seems to be normal. Once I woke up, i was no longer in pain and haven't really felt anything yet. The doctor told me the ibuprofen won't have any effect on the graft survival, it can just cause excessive bleeding from the donor area (doesn't seem to be a huge issue at the moment). I also apparently misinterpreted the pre-op instructions regarding smoking - the warning made specific reference to the dangers of nicotine - so I assumed that smoking marijuana was still OK (I used marijuana semi-regularly 1-2 times/week), and had smoked it 4 days prior to the surgery. Dr. Diep didn't like that but said it should be fine, but advised me to refrain from any marijuana use for an "entire year" ?!?!. From what I've been reading, it seems that the general MO is to refrain from smoking anything for a month or so, but after that I can resume. Cannabis has been show to inhibit growth of hair generally from what secondary sources I've read, but it doesn't appear from anything I could find that would cause the failing of hair grafts once the grafts are fully healed. If anyone has better information they could chime in? Anyway, thanks for listening. Any tips to disguise the hair implant would be greatly appreciated - I can't wear a hat as I work in a courtroom so its very important to look professional. I might also just need to fess up and tell everyone why I took a 3 week vacay - but we''ll see. Thanks for listening. Thanks Shoowon! Yes, to clarify the "harsh lighting" pics are comparable to my prior pics and were all taken in my bathroom with the vanity lights on. The soft lighting is just in other rooms in the house, not directly under a light. I think the combination paints a more complete picture. Thanks RecessionProof! Yes, Toppik is more effective now, although not perfect since my loss is in the very front. I've had a bit of luck applying Toppik to the mid scalp and leaning forward while patting my head. This disperses a more conservative amount. I did get called out by a friend who knows I had work done for having powder on my head so my technique still needs some refining lol! Thanks Vic! Dr. Diep did the extractions himself. Not really sure on the manual vs motorized punch as he gave me his "Bill Cosby Cocktail" beforehand, so I don't really remember the details--but I'm assuming it's just whichever one he usually uses. Thanks HLP! Not really sure on donor healing timeline but I've read it's pretty consistent with the 1 year growth period. Melvin saw continued healing after the 5 month mark if i remember correctly, so that's encouraging. FUE hair transplant surgery result after 3,235 hair grafts transplanted into the frontal area by Dr. Diep. Hair Grafts Break Down: One Hair Grafts: 531 roots Two hair grafts: 1,780 roots Three hair grafts: 596 roots Four hair grafts: 328 roots Total hair grafts: 3,235 roots To view this client in more detail, please click on the following link: . Very nice results Dr. Diep. I’m sure your patient is thrilled with the results. Congrats to both of you. Hey all, Some background info: I am 26 about a Norwood 2 just in the temples. I've been on Fin for about two years. No sides, no further loss. So I want to get the temples filled in a bit. I had a consultation with Dr. Diep who said I have nice thick hair and should expect good results. Only problem is my appointment is scheduled for October. I would love to get an surgery in January/February. I'm tired of wearing hats/meticously combing my hair. I'm only this young once. So are there any recommendations? I really appreciate it! Dr Diep ~ 1776 Grafts Via FUE ~ 25 y/o Asian Male ~ Norwood 3 What's going on, guys? I've been lurking this site for some time now and finally got a FUE procedure performed by Dr. Diep in late August 2018 to fill in the standard Norwood 3 recession. The following pictures is 8 weeks post op. I will keep you guys updated on my progress. Big fan of Dr.Diep Considering age, he is probably the next "H&W "
Hi all, I'm currently at Day 8 since my procedure with Dr. Diep. During my consultation, we agreed upon 1300 grafts total should fill in my temples. It ended up being 1400, which I thought some would be planted in the center hairline. But Diep said the hair there is too thick and would only cause shock loss. So I trust him. I also trusted him with a hairline design which he drew up pretty quick. (One side seems a little higher than the other, but we'll see once everything grows in.) Here are few pics from the journey so far: Day 0: Right Left Day 4: Right Left Today Day 8 (after my first contact wash): Right This big scabless, hairless, white strip makes me nervous on this one. I woke up like this before the wash. Left Hopefully this helpful for everyone. Reading your guys progress reports helped me a lot, so I plan to do the same. Here is part two of my interview with Dr. Diep. Saw you on Dr. Diep’s video. I’m glad you came back your results look fantastic. There’s another blonde guy who’s documenting his procedure on here as well. I hope you’ll start a new thread when you have your next procedure. I have a appt with Diep next year. 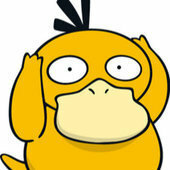 really not sure if I should go FUT or FUE. 42 yrs old - hair loss happened really fast (between ages 39 and 41) no longer losing hair - good skin laxity as far as I can tell - decent donor I started taking fin along with minox a month ago. started using derma roller 2 weeks ago. I have been taking vitamins of all kinds for years. I do see small hairs growing near the temples where there wasn't any before so I am holding out hope things change a little for the better in the frontal and on top over the next few months with this regimen. Dr. Diep stated 2500 FUE was what we are looking at with the possibility of more. Do you guys think its possible to get decent coverage with 2500 (hopefully more he said he might be able to get up to 3500 depending on donor) FUE both front and top? Not to hot on the idea of FUT but also not to hot on the idea of more than 1 surgery, both are clearly on the table. I also have always kept my hair buzzed on sides and back. I want to keep the age appropriate hair line, I've always had the Eddie Munster "V". Thanks for the info, just preparing myself mentally for fue or fut. I’m going to disagree with you Gas, Dr. Diep used the zig-zag pattern of micro-irregularities by using placing 1 hair fu’s in a zig zag pattern. This is his calling card for hairlines he mentions this in his videos a lot. Understandable you wouldn’t know since you don’t follow his work, some may not like it. I for one think the zig zags make the hairline appear natural when it's grown out. Also, I was just as bald as this guy with a similar hairline. It can be restored with multiple sessions, but no one should think they can restore the head completely in one session with a Norwood 6 level of balding. Thanks John! I like Dr. Vories and he's on my top list of surgeons right now. However, I'm 29 and a worried about my future balding pattern so I'm still in the deciding phase of FUE vs FUT. If I were to go FUE, I think I would choose him. You’re worrying is not helping your bf to be honest. You chose a clinic with one of the biggest portfolios on the web. It’s totally normal to have buyers remorse. But you should be encouraging your bf and not causing him further distress. I’ve included how my hair looked before and right after, it looks pretty much like your boyfriend’s. I’m also including my most recent YouTube video. Dr. Diep changed my life your bf chose a good doc now just try to get him to relax. His rep John posts on here, if you do a search you’ll see there’s been quite a few. Just search Dr. Vories name and they’ll pull up.